In 2015, the Sumatran rhino was declared extinct in the wild in Malaysia. Hope for the species’s survival has dwindled. That’s why the Government of Indonesia has initiated an Emergency Action Plan and rhino experts from around the world have come together to launch a national conservation breeding effort to save the Sumatran rhino from extinction. In support of the Government of Indonesia’s efforts, Global Wildlife Conservation, International Rhino Foundation, International Union for Conservation of Nature, the National Geographic Society, and WWF have joined with Indonesian partners on the ground to launch a Sumatran Rhino Rescue effort. Beginning in 2018, this alliance of organizations aims to relocate the widely dispersed rhino populations from the wild to managed breeding facilities designed specifically for their care. In addition to securing the remaining rhino population, the effort will develop the infrastructure to care for the rhinos and grow the population of their numbers. Efforts to save this species face numerous risks, and success is far from guaranteed. 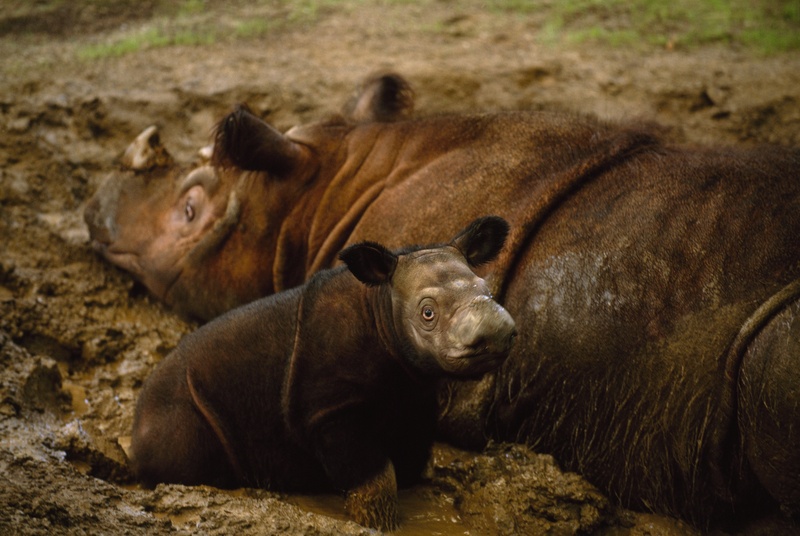 However, the work of the Sumatran Rhino Survival Alliance builds upon the successes of similar captive breeding and recovery programs such as those focused on the black-footed ferret, the California condor and the scimitar-horned oryx. These species’ populations rebounded to such a level that they were returned to their native habitats. 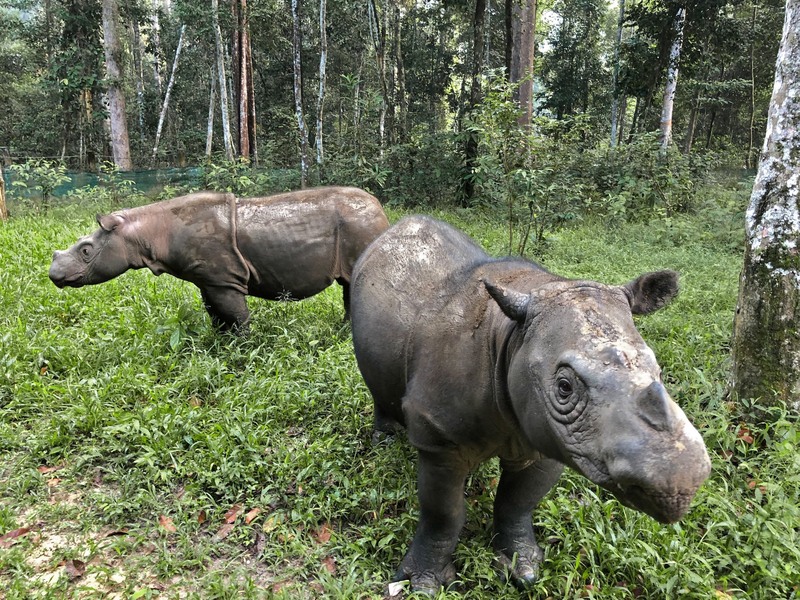 The Sumatran Rhino Rescue effort seeks to multiply the successes already seen at the Sumatran Rhino Sanctuary, where two calves were born in the past six years. Not only does this emergency effort aim to halt the decline of the Sumatran rhino, but it will help put systems in place to ensure that the species is protected and can grow and thrive for many future generations. With more rhinos rescued from the wild, additional facilities are needed to care for them. To accommodate the rhinos rescued in this effort, Sumatran Rhino Rescue will expand the existing facility in Way Kambas National Park in southern Sumatra, and support the development of two new Sumatran rhino sanctuaries in Indonesia -- one in Indonesian Borneo and the other in northern Sumatra. Find as many rhinos as possible living in small, isolated populations across Sumatra and Indonesian Borneo and move them to managed conservation breeding facilities. Incorporate the rhinos into a single conservation breeding program designed to maximize the population growth rate. 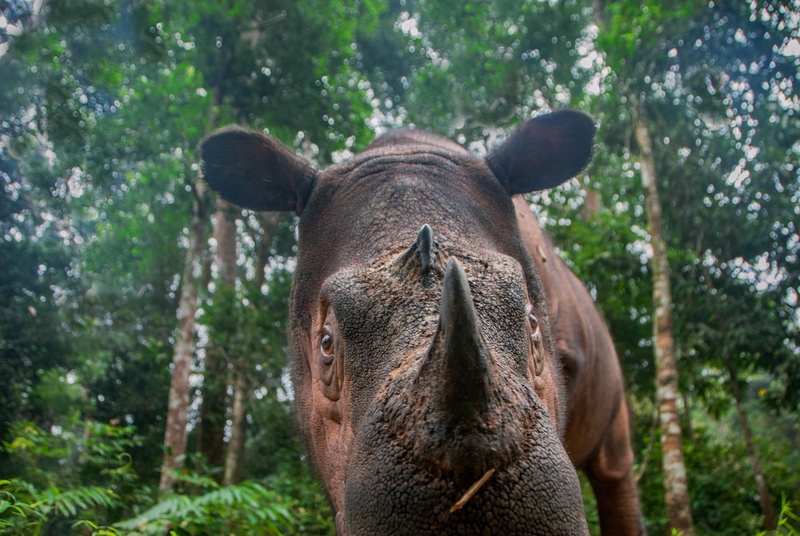 The end goal of this effort is to reintroduce Sumatran rhinos to the wild in Indonesia. Doing so will mean working hand in hand with the Government of Indonesia to further strengthen anti-poaching programs in designated protected areas. We’ve assembled an expert team to lead search and rescue efforts in Indonesia. Now, it’s up to you to help provide the assets they need to succeed. Donate now to fund relocation efforts and support the construction of rhino sanctuaries to ensure a future for this species.